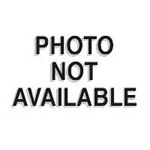 "PinTisserie™ - Playfield rotisserie jig" has been added to your cart. 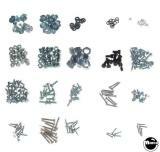 New PinTisserie™ pinball playfield rotisserie jig is the best extra set of hands for serious pinball playfield swaps, restorations or repairs. 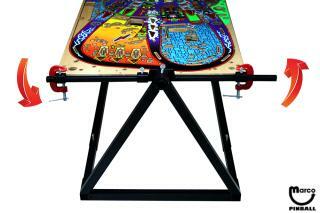 Fully adjustable length and width frame secures any size playfield for easy top and bottom access. 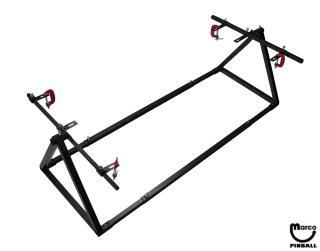 This benchtop fixture includes 4 C-clamps, extenders, and adjusters to adapt to standard, widebody, and other unique size tables. 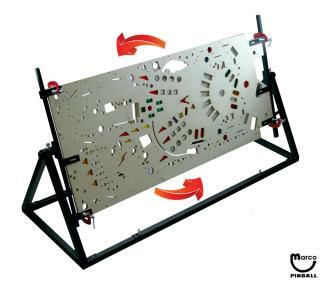 Support frame rotates 360 degrees and fastens in any position to ease cleaning, wiring, soldering, fastener removal and installation on any playfield. 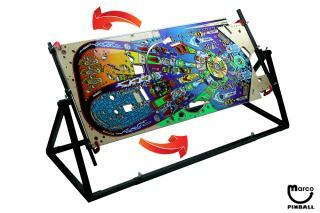 Ships un-assembled and no, the MONSTER BASH playfield is not included!